Dr. Beverly Wesner-Hoehn began her musical studies at the age of six. A native Californian, Beverly was always active in local performance groups such as the Sacramento Youth Symphony, honor bands and choral ensembles during her early school days. Primary education began at Sacramento Union Academy, class of 1975. She received the Bachelor of Music degree in performance from Pacific Union College, California in 1979. It was during her college years of 1977-78 that she became the recipient of a Rotary Fellowship for one year of harp and French study at the Conservatoire Royale de la Musique in Brussels, Belgium where she studied with Francette Bartholomée. There she received the Jean Risler Award for Outstanding Musicianship and the Prix for Harp Performance. Upon returning to the United States, Ms. Wesner-Hoehn continued her studies in harp with Susann McDonald at the University of Southern California where, in 1981, she received the Masters of Music degree as well as the USC Musicians Award and the Delta Gamma Pi Young Teachers Award. Beverly received the Doctor of Music degree in Harp Performance with High Distinction, from Indiana University in 1989. At Indiana University she was an Associate Instructor for three years and the recipient of the Peter Eagle Fellowship. She was nominated for membership in the National Music Honor Society, Pi Kappa Lambda. Her secondary fields are music history, keyboard and church music. In 1989, Wesner-Hoehn was named Assistant Professor in the School of Music at Indiana University in Bloomington. Her teaching duties included private harp lessons, pedagogy courses, chamber music, and directing the harp ensembles. The Indiana University Harp Ensemble, under her direction, performed for Danish National Television as part of the World Harp Congress in Copenhagen and later with the Columbus Pro Musica Orchestra. Wesner-Hoehn has been an adjudicator and member of ASTA and the President of the jury for the Mother Lode Friends of Music competition. For 15 years, she served as Treasurer of the World Harp Congress and was a Director on the Corporate board for this international organization. She also served as an Honorary Board Member for the Campus Orchestra of Tel Aviv. In 1994, she was a member of the jury for the prestigious 12th International Harp Contest in Israel. Beverly was Administrative Director of the USA International Harp Competition from 1993-1998 and earlier served as its Treasurer. Highlights of Beverly's own solo performances include worldwide concerts such as: French National Radio, International Harpweek in Holland, Rotary International Conventions, Friends of Music Association at Dorothy Chandler Pavilion in Los Angeles, California State Penitentiaries, Walt Disney World Epcot Previews, World Harp Congress, American Cancer Society Benefits, Adventist Musicians Guild, USA International Harp Competition, Studio Six Television, and the United States Senate Ambassadors Ball. Dr. Wesner-Hoehn has performed several times as a guest of Mid America Productions on stage at Carnegie Hall in New York City. 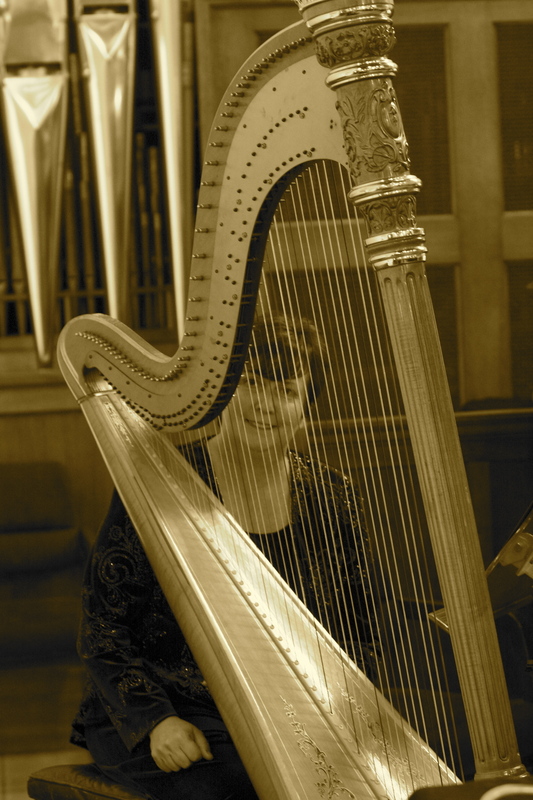 She was invited to perform at the Fifth World Harp Congress in Copenhagen, Denmark, where she was the featured soloist with the Danish choral ensemble Hymnia. She has also performed at the Israel, Vienna, and Paris World Harp Congress venues. Since relocating to California, Dr. Wesner-Hoehn has performed for the Mondavi Center and University of California at Davis and Merced, Sacramento Choral Society and Orchestra, El Dorado Community Concert Series; Fine Arts Series of Pacific Union College, Southern University and Canadian University, as well as with the River City Chorale, the Sacramento Philharmonic, the Master Singers Chorale, the Apollo Concert Series, Auburn, Stockton, and Folsom Symphony Orchestras, Northern California Children's Chorus, Chanteuses, Modesto Symphony Orchestra, Kindred Arts Series in Manteca, Sacramento Children's Chorus, California State University Wind Ensemble and Orchestra, Music Circus at the Wells Fargo Pavilion, the Community Center Broadway Series, Chico State Orchestra, Paradise Symphony, North State Orchestra, Sacramento Ballet Society, and the Music in the Mountains Summer Festival Orchestra. She has performed multiple times with Johnny Mathis, Gladys Knight and the Pips, Michael W Smith, Super Diamond, and young star soprano, Jackie Evancho. Beverly currently enjoys teaching harp to inquisitive students and also performing with her favorite musicians in Trio Brio in chamber recitals throughout California. Beverly’s discography includes twelve professionally produced albums. Wesner-Hoehn has performed and recorded a CD of music compositions by American composer John Eaton, with members of the Los Angeles Philharmonic and Chicago Symphony Orchestra; she was the featured harpist on a definitive recording of the Ceremony of Carols by Benjamin Britten, with the Indianapolis Children's Choir under the direction of famed director, Henry Leck, entitled Come, Ye Sons of Art. A favorite Christmas CD was released by Schola Cantorum and Dr. Donald Kendrick conducting, featuring Beverly with this fine choral ensemble performing seasonal carols, From Heaven on High. Beverly completed a recording of Madrigals I - IV working with renowned Pulitzer Prize winning composer George Crumb, which was released as George Crumb Volume Nine from Bridge Studios in New York in 2005. This album was since nominated for a Grammy award. Other CD releases include the women's chorus, Chanteuses, 10th Anniversary Edition, under the direction of Jack Miller, and My Heart Rejoices, with the Sacramento Children's Chorus under the direction of Lynn Stevens. Music for the Soul combines harp with handbells, and the pipe organ of All Saints Episcopal Church featuring Scott Nelson doing a variety of organ works as well. Beverly has collaborated with Elizabeth Coronata, flute and released a CD produced by Graphic Gold in 2009, entitled, Winter Moon. Three other CD’s complete the four season project and feature the fantastic group Trio Brio (James Een, viola, Liz on flute and Bev on harp): Spring Bloom, in 2011 and Summer Serenade released May, 2013 with the World Premier of Trois Nocturnes by Philippe Hersant. Her solo CD, HarpSounds, was released May, 2014 and is available on CD Baby, ITunes, & Amazon! Her latest collaboration, St. John's Resounds: Music for Organ and Harp has just been released in October, 2016 with Dr. Ryan Enright playing the Bedient organ of St. John's Lutheran church in Sacramento. Don't miss this superb sound experience of the concert grand pedal harp with the "concert grand" pipe organ playing the premier recording of Canadian composer Rachel Laurin's Fantasia, Op. 52 ...use the contact form to order your copy today!